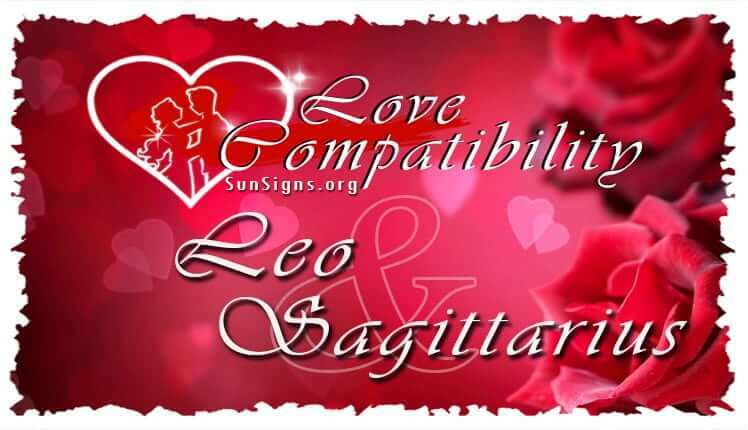 It is bound to be exciting when Leo and Sagittarius in love get together to form a romantic relationship. This relationship is never boring. Their similarities bring excitement and adventure into their lives, and their differences can bring in drama. This might be exhausting for other zodiac signs, but these signs are able to handle it with ease. These fire signs live for the fast-paced and glamorous things in life, so they are well prepared for a wild ride with each other. This Leo Sagittarius couple’s large amount of energy helps to keep them going on good and bad days alike. If these two can learn to work together and put aside their differences then they just might be able to make it work between them. Leo star sign comes with a large ego, and they know it. Leo men and women are hard workers with ambitious goals. They are willing to do whatever they need to in order to get ahead in the world. Most Leos strive to be the leader in their place of work or to be their own boss. The Leo personality doesn’t like taking orders from anyone. The same goes for when they are in a romantic relationship. They won’t want to be with someone who is controlling and possessive. Instead, they want to be with someone supportive and who understands their goals. While Leo may act tough, their egos can actually be hurt quite easily. An insult from a partner can devastate them, while a compliment can mean the world to them. When it comes to the bedroom, Leo is adventurous. They love to try new things, and they also like to be the dominant one, no matter if they are a Leo man or Leo woman. They live to please their partner and to be pleased by them. Sagittarius zodiac is an adventurous sign. They live for seeing and doing new and exciting things. They don’t want to be bothered by the boring moments in life. They live for what is exceptional. Everything in between exciting moments is just a bore to them. The Sagittarius personality can even become upset and irritable when they are bored, so it is best to keep them occupied. They get bored on their own, so this sign tries to keep a large circle of friends around so that they always have someone to hang out with when their day starts to get dull. It’s not hard for this sun sign to make friends, as they have a cheerful disposition when they are entertained, and in general, this sign is simply very social. Sagittarius man or Sagittarius woman will want to be with someone who can excite them and keep them happy. Sagittarius will want their romances to be like an adventure, and if it’s not then they have no problem with dumping their partner for someone more like themselves. Just from looking at these sun sign’s traits we can see that the Leo Sagittarius soul mates will have to make an exciting match if it is to last, and that if it does last that it is bound to be adventurous. Let’s look at some of the pros of the Leo and Sagittarius compatibility. Leo is likely to first attract Sagittarius with their flirtatious and almost attention-seeking nature. It is not that Leo is physically asking for attention, they just seem to draw people’s attention with ease. Sagittarius men or Sagittarius women are likely to notice that so many people from different walks of life are attracted to Leo, and he or she will want to know what is so great about this social creature. Sagittarius is likely going to try to get all of Leo’s attention for him or herself. It is likely that Leo will play along. The Lion loves having someone’s complete attention on them. It helps to boost their self-esteem. Not that they need to, as Leo’s confidence levels are usually fairly high. Leo simply loves compliments, and it is likely that the Archer will shower him or her with them. When the Leo dates the Sagittarius, he or she is may be simply interested in their partner’s appearance and vibe at first. But once they start talking Sagittarius will notice that Leo is a rather creative sign, with many new and exciting ideas of their own. This will make Leo born seem all the more attractive to Sagittarius, and the attraction will keep building the longer that these two signs talk to each other. Once these two horoscope signs get into an actual Leo Sagittarius friendship they will spend most of their time hanging out outside their homes. They are the type of couple to go on many dates together and socialize with other people still. They understand that freedom is important to each other, so they will not mind if they spend time with their separate groups of friends at time. Sagittarius isn’t a sign that is likely to get jealous, which makes the relationship easier to maintain, since Leo likes to flirt at times. However, in this Leo Sagittarius love compatibility, they will want their main concentration to be on each other. Leo needs a lot of attention to feel loved. So Sagittarius will have to remember to compliment and spend time with their partner. Leo also loves to be the leader in the relationship. Sagittarius has no problem with this, as they are often indecisive and they like that their partner actually wants to make some of the bigger decisions within the relationship. As exciting as this Leo and Sagittarius compatibility is at times, sometimes it can get dull. When this relationship gets boring problems start to arise. Let’s look at some of the cons of a Leo Sagittarius marriage. When it comes to this sign, it is more their similarities, rather than their differences, that will pull this couple apart. Both the Leo and Sagittarius lovers can be quick to anger when they are upset, and they are more than likely to take it out on each other. Both of these signs think rather highly of themselves, and they won’t want to back down or admit that their side of the argument is wrong. Once these two start arguing they aren’t likely to stop for a while. While the Leo Sagittarius in bed are rather sexually passionate, they are also passionate in their arguments, which isn’t exactly a valuable trait. It is great that they stand up for what they believe in, but at times they can take it too far. After an argument they are likely to give each other the silent treatment or retreat into opposite ends of their home. They are not likely to start talking again until they relieve some stress on their own, and even then, they are not likely to apologize, as they will both still think that they are in the right. When a Leo man and a Sagittarius woman are in a relationship it is likely that she won’t have a problem with having her Leo male run the relationship for the most part, but when it is a Leo female and a Sagittarius man in a romantic relationship things work a little differently, and not for the better. In this pairing, both the Leo woman and Sagittarius man will want to lead the relationship. The Leo woman is up for a compromise; he can make some decisions as long as she gets the credit for it. The Sagittarius man won’t want compromise, he would rather try to manipulate his woman to get what he wants. This can lead to problems in the relationship. Leo could see this as a sign of disrespect and breakup the Leo Sagittarius relationship soon after. In conclusion, the Leo Sagittarius love compatibility may work well for a short time, but when it comes to the long-term this couple will have to make compromises. So long as this couple learns to listen and respect each other, then this relationship has a fair chance of working out. If it does work, then the Leo and Sagittarius soul mates are likely to have an exciting relationship that is full of new experiences with each other.